Enjoy a different side of the city with a 90-Minute City Sightseeing Cruise around Manhattan Island, up and down the Hudson and East Rivers. This cruise sails year-round aboard a vessel featuring both indoor and outdoor decks. 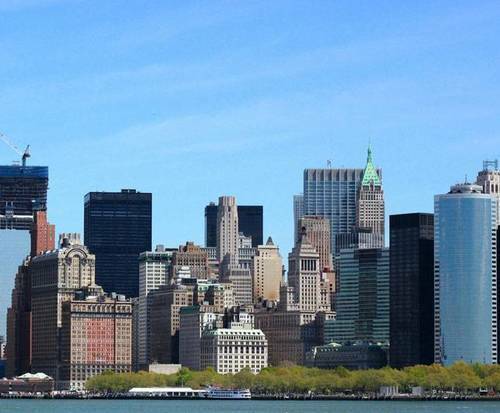 From the boat, the whole family will enjoy beautiful views of the Manhattan skyline, including views by sea of the Statue of Liberty, Ellis Island, South Street Seaport, and many more. Don't forget your camera, as there will be many great photo opportunities, especially when the boat takes you up close to the Statue of Liberty. From the boat, take in views of the Empire State Building, which stands as a testament to human ingenuity as it rises over a quarter of a mile into the New York sky. Ever since its inception in 1931, the Empire State Building has been capturing the fascination and imagination of visitors from around the world with its daring, ingenuity, and genuinely American stance towards architecture. The boat will take a moment to bring you up close to the Statue of Liberty, which has been a beacon to those traveling toward New York City from across the Atlantic, a symbol of what America means to those who seek a better life. This amazing sight is known for its historical importance and architectural prowess. Make sure to capture images of Lady Liberty while the boat pauses in front of her. Get an up-close look at Ellis Island, back to which almost half of the American population can trace their family. Over 12 million immigrants came to America via the island between 1892 and 1954, and since then, the Ellis Island Immigration Museum has become one of the most visited tour spots in the nation, welcoming nearly two million visitors annually. Seen from the waters, Battery Park offers gorgeous gardens, walking trails, monuments, and more, and it is the starting point of New York City history. With its fine promenade and incredible vista of the harbor, the park is part of Harbor Park, a group of historic waterfront sites. As the site of many historical events, Governors Island remains an important landmark today, and in 2001, 22 acres of the island were designated as the Governors Island National Monument. This island has become New York City's "Playground for the Arts," hosting cultural events, food festivals, concerts, performances, and more throughout the year. As one of the oldest suspension bridges in the nation and the first steel-wire suspension bridge, the Brooklyn Bridge is on the National Register of Historic Places. Completed in 1883, the bridge connects Manhattan and Brooklyn across the East River and is over 1,500 feet long. The boat will take you beneath the Manhattan Bridge, a beautiful structure stretching from Downtown Brooklyn to Chinatown in Manhattan. Being the first bridge to be built on deflection theory, the Manhattan Bridge was completed in 1910 and stretches across approximately 6,000 feet. Originally designed to carry horse and carriage transportation, the Williamsburg Bridge was built in 1903 and was the first bridge to have all-steel towers, which stand at 310 feet and measure about 18 inches in diameter. This historic bridge links Manhattan and Brooklyn. Once a noisy, gritty wholesale fish market, the South Street Seaport is now historically preserved and has a legacy of retail and tourism. In the 1960s, the South Street Seaport Museum was founded, and even today, preservation and development exist side by side. Built in 1952, this collection of buildings on the bank of the East River in New York City serves as the main offices of the United Nations. Due to a treaty with the U&period;S&period;, the territory is under sole administration of the UN, but in exchange for police, fire, and other services, they comply with U&period;S&period; and New York laws. Created as a living memorial for those who died during the Holocaust, the Museum of Jewish Heritage cherishes the Jewish traditions that the victims embraced. Newer generations are taught to recognize injustices and oppressions and fight against them. First opened in 1997, the museum annually welcomes over 1.5 million visitors from all over the world and is one of New York City's most impressive attractions. Made up of the Chrysler Building and the Chrysler East Building, the Chrysler Center holds businesses and retail stores and takes up over one million square feet. 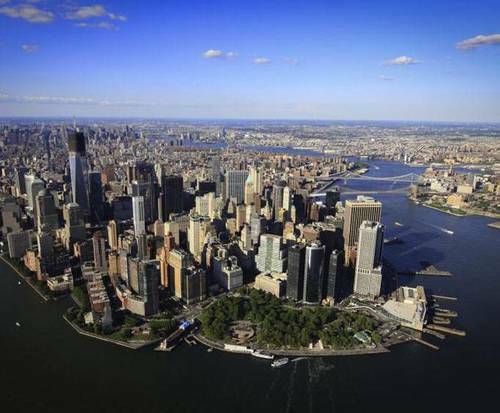 From the building itself, the landmark gives a 360-degree view of Manhattan and the surrounding area. This cruise provides a relaxing way to tour the city, away from the stress and hassle of the busy city streets. You and your family will make memories you will remember for a lifetime on this fabulous 90-Minute City Sightseeing Cruise! Great cruise, very informative, tour guide very engaging to both adults and children on board. Just brilliant! !